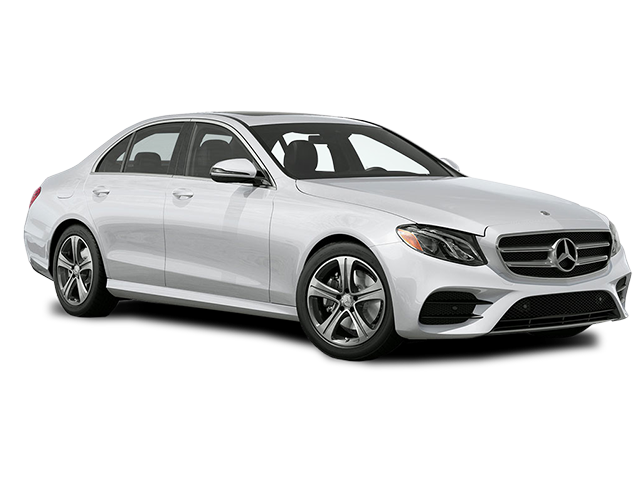 Contact Mercedes-Benz of Ontario today for information on dozens of vehicles like this 2019 Mercedes-Benz E-Class E 300. This Mercedes-Benz includes: BROWN ASH WOOD TRIMWoodgrain Interior Trim BLIND SPOT ASSISTBlind Spot Monitor WHEEL LOCKS (PIO)Wheel Locks SPORT PACKAGELOWERED SUSPENSION W/SELECTIVE DAMPING SYSTEMWHEELS: 18 5-SPOKE (STD)Aluminum Wheels *Note - For third party subscriptions or services, please contact the dealer for more information. * Pull up in the vehicle and the valet will want to parked on the front row. This Mercedes-Benz E-Class is the vehicle others dream to own. Don't miss your chance to make it your new ride. The Mercedes-Benz E-Class E 300 will provide you with everything you have always wanted in a car -- Quality, Reliability, and Character.This is about the time when you're saying it is too good to be true, and let us be the one's to tell you, it is absolutely true. Contact Mercedes-Benz of Ontario today for information on dozens of vehicles like this 2019 Mercedes-Benz E-Class E 300. This Mercedes-Benz includes: BROWN ASH WOOD TRIMWoodgrain Interior Trim BLIND SPOT ASSISTBlind Spot Monitor WHEEL LOCKS (PIO)Wheel Locks SPORT PACKAGELOWERED SUSPENSION W/SELECTIVE DAMPING SYSTEMWHEELS: 18 5-SPOKE (STD)Aluminum Wheels *Note - For third party subscriptions or services, please contact the dealer for more information. * Today's luxury vehicle is not just about opulence. It's about a perfect balance of performance, comfort and attention to detail. This 2019 Mercedes-Benz E-Class is the perfect example of the modern luxury. Just what you've been looking for. With quality in mind, this vehicle is the perfect addition to take home.There is no reason why you shouldn't buy this Mercedes-Benz E-Class E 300. It is incomparable for the price and quality. You can find this 2019 Mercedes-Benz E-Class E 300 and many others like it at Mercedes-Benz of Ontario. This Mercedes-Benz includes: BLACK HEADLINER12.3 WIDESCREEN INSTRUMENT CLUSTERSPORT PACKAGELOWERED SUSPENSION W/SELECTIVE DAMPING SYSTEMWHEELS: 18 5-SPOKE (STD)Aluminum Wheels *Note - For third party subscriptions or services, please contact the dealer for more information. * Pull up in the vehicle and the valet will want to parked on the front row. This Mercedes-Benz E-Class is the vehicle others dream to own. Don't miss your chance to make it your new ride. There is no reason why you shouldn't buy this Mercedes-Benz E-Class E 300. It is incomparable for the price and quality.The look is unmistakably Mercedes-Benz, the smooth contours and cutting-edge technology of this Mercedes-Benz E-Class E 300 will definitely turn heads. This outstanding example of a 2019 Mercedes-Benz E-Class E 300 is offered by Mercedes-Benz of Ontario. This Mercedes-Benz includes: BLIND SPOT ASSISTBlind Spot Monitor WHEEL LOCKS (PIO)Wheel Locks NATURAL GRAIN BLACK ASH WOOD TRIMWoodgrain Interior Trim REAR SPOILER (PIO)Rear Spoiler 12.3 WIDESCREEN INSTRUMENT CLUSTERSPORT PACKAGEWHEELS: 18 5-SPOKE (STD)Aluminum Wheels *Note - For third party subscriptions or services, please contact the dealer for more information. * You deserve a vehicle designed for higher expectations. This Mercedes-Benz E-Class delivers with a luxurious, well-appointed interior and world-class engineering. You can finally stop searching... You've found the one you've been looking for.This is about the time when you're saying it is too good to be true, and let us be the one's to tell you, it is absolutely true. This 2019 Mercedes-Benz E-Class E 300 is offered to you for sale by Mercedes-Benz of Ontario. This Mercedes-Benz includes: BLIND SPOT ASSISTBlind Spot Monitor NATURAL GRAIN BLACK ASH WOOD TRIMWoodgrain Interior Trim REAR SPOILER (PIO)Rear Spoiler 12.3 WIDESCREEN INSTRUMENT CLUSTERSPORT PACKAGELED LOGO PROJECTORS (SET OF 2) (PIO)WHEELS: 18 5-SPOKE (STD)Aluminum Wheels *Note - For third party subscriptions or services, please contact the dealer for more information. * Today's luxury vehicle is not just about opulence. It's about a perfect balance of performance, comfort and attention to detail. This 2019 Mercedes-Benz E-Class is the perfect example of the modern luxury. Based on the superb condition of this vehicle, along with the options and color, this Mercedes-Benz E-Class E 300 is sure to sell fast.You can finally stop searching... You've found the one you've been looking for. This outstanding example of a 2019 Mercedes-Benz E-Class E 300 is offered by Mercedes-Benz of Ontario. This Mercedes-Benz includes: HEATED FRONT SEATSSplit Bench Seat Heated Front Seat(s) Fixed Bench Seat Bucket Seats BLIND SPOT ASSISTBlind Spot Monitor WHEEL LOCKS (PIO)Wheel Locks NATURAL GRAIN BLACK ASH WOOD TRIMWoodgrain Interior Trim COMFORT BOX (PIO)SPORT PACKAGELOWERED SUSPENSION W/SELECTIVE DAMPING SYSTEMPREMIUM 1 PACKAGEKeyless Start HD Radio Hands-Free Liftgate Satellite Radio Power Door Locks Keyless Entry Remote Trunk Release WHEELS: 18 5-SPOKE (STD)Aluminum Wheels BURMESTER SURROUND SOUND SYSTEMPremium Sound System *Note - For third party subscriptions or services, please contact the dealer for more information. * There's a level of quality and refinement in this Mercedes-Benz E-Class that you won't find in your average vehicle. Just what you've been looking for. With quality in mind, this vehicle is the perfect addition to take home.There is no reason why you shouldn't buy this Mercedes-Benz E-Class E 300. It is incomparable for the price and quality. This 2019 Mercedes-Benz E-Class E 300 is proudly offered by Mercedes-Benz of Ontario This Mercedes-Benz includes: HEATED FRONT SEATSSplit Bench Seat Heated Front Seat(s) Fixed Bench Seat Bucket Seats BLACK HEADLINERBLIND SPOT ASSISTBlind Spot Monitor WHEEL LOCKS (PIO)Wheel Locks NATURAL GRAIN BLACK ASH WOOD TRIMWoodgrain Interior Trim COMFORT BOX (PIO)SPORT PACKAGEPREMIUM 1 PACKAGEKeyless Start HD Radio Hands-Free Liftgate Satellite Radio Power Door Locks Keyless Entry Remote Trunk Release WHEELS: 18 5-SPOKE (STD)Aluminum Wheels BURMESTER SURROUND SOUND SYSTEMPremium Sound System *Note - For third party subscriptions or services, please contact the dealer for more information. * You appreciate the finer things in life, the vehicle you drive should not be the exception. Style, performance, sophistication is in a class of its own with this stunning Mercedes-Benz E-Class. Just what you've been looking for. With quality in mind, this vehicle is the perfect addition to take home.The Mercedes-Benz E-Class E 300 will provide you with everything you have always wanted in a car -- Quality, Reliability, and Character. Contact Mercedes-Benz of Ontario today for information on dozens of vehicles like this 2019 Mercedes-Benz E-Class E 300. This Mercedes-Benz includes: NIGHT PACKAGEBLIND SPOT ASSISTBlind Spot Monitor WHEEL LOCKS (PIO)Wheel Locks REAR SPOILER (PIO)Rear Spoiler AMG® LINE EXTERIOR4-Wheel Disc Brakes Front Disc/Rear Drum Brakes LOWERED SUSPENSION W/SELECTIVE DAMPING SYSTEMWHEELS: 18 AMG® 5-SPOKE W/BLACK ACCENTSChrome Wheels Aluminum Wheels Steel Wheels *Note - For third party subscriptions or services, please contact the dealer for more information. * Pull up in the vehicle and the valet will want to parked on the front row. This Mercedes-Benz E-Class is the vehicle others dream to own. Don't miss your chance to make it your new ride. You've found the one you've been looking for. Your dream car.Just what you've been looking for. With quality in mind, this vehicle is the perfect addition to take home. Contact Mercedes-Benz of Ontario today for information on dozens of vehicles like this 2019 Mercedes-Benz E-Class E 300. This Mercedes-Benz includes: NIGHT PACKAGE BROWN ASH WOOD TRIM Woodgrain Interior Trim BLIND SPOT ASSIST Blind Spot Monitor WHEEL LOCKS (PIO) Wheel Locks COMFORT BOX (PIO) REAR SPOILER (PIO) Rear Spoiler AMG® LINE EXTERIOR 4-Wheel Disc Brakes Front Disc/Rear Drum Brakes LED LOGO PROJECTORS (SET OF 2) (PIO) WHEELS: 18 AMG® 5-SPOKE W/BLACK ACCENTS Chrome Wheels Aluminum Wheels Steel Wheels 115V AC POWER OUTLET BURMESTER SURROUND SOUND SYSTEM Premium Sound System *Note - For third party subscriptions or services, please contact the dealer for more information. * You deserve a vehicle designed for higher expectations. This Mercedes-Benz E-Class delivers with a luxurious, well-appointed interior and world-class engineering. The Mercedes-Benz E-Class E 300 will provide you with everything you have always wanted in a car -- Quality, Reliability, and Character. This is about the time when you're saying it is too good to be true, and let us be the one's to tell you, it is absolutely true. You can find this 2019 Mercedes-Benz E-Class E 300 and many others like it at Mercedes-Benz of Ontario. This Mercedes-Benz includes: HEATED FRONT SEATSSplit Bench Seat Heated Front Seat(s) Fixed Bench Seat Bucket Seats BLIND SPOT ASSISTBlind Spot Monitor NATURAL GRAIN BLACK ASH WOOD TRIMWoodgrain Interior Trim 12.3 WIDESCREEN INSTRUMENT CLUSTERPREMIUM 1 PACKAGEKeyless Start HD Radio Hands-Free Liftgate Satellite Radio Power Door Locks Keyless Entry Remote Trunk Release WHEELS: 18 5-SPOKE (STD)Aluminum Wheels BURMESTER SURROUND SOUND SYSTEMPremium Sound System *Note - For third party subscriptions or services, please contact the dealer for more information. * Pull up in the vehicle and the valet will want to parked on the front row. This Mercedes-Benz E-Class is the vehicle others dream to own. Don't miss your chance to make it your new ride. Beautiful color combination with Polar White exterior over BLACK MB TEX interior making this the one to own!The Mercedes-Benz E-Class E 300 will provide you with everything you have always wanted in a car -- Quality, Reliability, and Character. 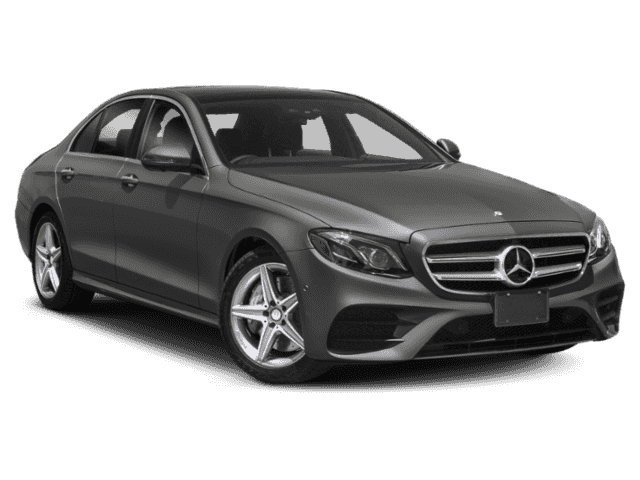 Contact Mercedes-Benz of Ontario today for information on dozens of vehicles like this 2019 Mercedes-Benz E-Class E 300. This Mercedes-Benz includes: HEATED FRONT SEATSSplit Bench Seat Heated Front Seat(s) Fixed Bench Seat Bucket Seats NIGHT PACKAGEBLIND SPOT ASSISTBlind Spot Monitor WHEEL LOCKS (PIO)Wheel Locks NATURAL GRAIN BLACK ASH WOOD TRIMWoodgrain Interior Trim AMG® LINE EXTERIOR4-Wheel Disc Brakes Front Disc/Rear Drum Brakes LOWERED SUSPENSION W/SELECTIVE DAMPING SYSTEMWHEELS: 18 AMG® 5-SPOKE W/BLACK ACCENTSChrome Wheels Aluminum Wheels Steel Wheels 115V AC POWER OUTLETCONVENIENCE PACKAGEKeyless Start HD Radio Hands-Free Liftgate Satellite Radio Power Door Locks Keyless Entry Remote Trunk Release *Note - For third party subscriptions or services, please contact the dealer for more information. * You appreciate the finer things in life, the vehicle you drive should not be the exception. Style, performance, sophistication is in a class of its own with this stunning Mercedes-Benz E-Class. You've found the one you've been looking for. Your dream car.This is about the time when you're saying it is too good to be true, and let us be the one's to tell you, it is absolutely true. This 2019 Mercedes-Benz E-Class E 300 is proudly offered by Mercedes-Benz of Ontario This Mercedes-Benz includes: NIGHT PACKAGEBLIND SPOT ASSISTBlind Spot Monitor WHEEL LOCKS (PIO)Wheel Locks COMFORT BOX (PIO)REAR SPOILER (PIO)Rear Spoiler AMG® LINE EXTERIOR4-Wheel Disc Brakes Front Disc/Rear Drum Brakes LOWERED SUSPENSION W/SELECTIVE DAMPING SYSTEMWHEELS: 18 AMG® 5-SPOKE W/BLACK ACCENTSChrome Wheels Aluminum Wheels Steel Wheels CONVENIENCE PACKAGEKeyless Start HD Radio Hands-Free Liftgate Satellite Radio Power Door Locks Keyless Entry Remote Trunk Release *Note - For third party subscriptions or services, please contact the dealer for more information. * You deserve a vehicle designed for higher expectations. This Mercedes-Benz E-Class delivers with a luxurious, well-appointed interior and world-class engineering. Just what you've been looking for. With quality in mind, this vehicle is the perfect addition to take home.You've found the one you've been looking for. Your dream car. Contact Mercedes-Benz of Ontario today for information on dozens of vehicles like this 2019 Mercedes-Benz E-Class E 300. This Mercedes-Benz includes: HEATED FRONT SEATSSplit Bench Seat Heated Front Seat(s) Fixed Bench Seat Bucket Seats BLIND SPOT ASSISTBlind Spot Monitor COMFORT BOX (PIO)AMG® LINE EXTERIOR4-Wheel Disc Brakes Front Disc/Rear Drum Brakes LED LOGO PROJECTORS (SET OF 2) (PIO)LOWERED SUSPENSION W/SELECTIVE DAMPING SYSTEMWHEELS: 19 AMG® TWIN 5-SPOKEChrome Wheels Tires - Front Performance Aluminum Wheels Steel Wheels Tires - Rear Performance CONVENIENCE PACKAGEKeyless Start HD Radio Hands-Free Liftgate Satellite Radio Power Door Locks Keyless Entry Remote Trunk Release *Note - For third party subscriptions or services, please contact the dealer for more information. * Today's luxury vehicle is not just about opulence. It's about a perfect balance of performance, comfort and attention to detail. This 2019 Mercedes-Benz E-Class is the perfect example of the modern luxury. This is about the time when you're saying it is too good to be true, and let us be the one's to tell you, it is absolutely true.The Mercedes-Benz E-Class E 300 will provide you with everything you have always wanted in a car -- Quality, Reliability, and Character. This 2019 Mercedes-Benz E-Class E 300 is offered to you for sale by Mercedes-Benz of Ontario. This Mercedes-Benz includes: BLIND SPOT ASSISTBlind Spot Monitor WHEEL LOCKS (PIO)Wheel Locks COMFORT BOX (PIO)REAR SPOILER (PIO)Rear Spoiler AMG® LINE EXTERIOR4-Wheel Disc Brakes Front Disc/Rear Drum Brakes LED LOGO PROJECTORS (SET OF 2) (PIO)LOWERED SUSPENSION W/SELECTIVE DAMPING SYSTEMWHEELS: 19 AMG® TWIN 5-SPOKEChrome Wheels Tires - Front Performance Aluminum Wheels Steel Wheels Tires - Rear Performance 115V AC POWER OUTLETCONVENIENCE PACKAGEKeyless Start HD Radio Hands-Free Liftgate Satellite Radio Power Door Locks Keyless Entry Remote Trunk Release *Note - For third party subscriptions or services, please contact the dealer for more information. * Pull up in the vehicle and the valet will want to parked on the front row. This Mercedes-Benz E-Class is the vehicle others dream to own. Don't miss your chance to make it your new ride. This is about the time when you're saying it is too good to be true, and let us be the one's to tell you, it is absolutely true.This is the one. Just what you've been looking for. Mercedes-Benz of Ontario is excited to offer this 2019 Mercedes-Benz E-Class. This Mercedes-Benz includes: NIGHT PACKAGEBLIND SPOT ASSISTBlind Spot Monitor WHEEL LOCKS (PIO)Wheel Locks COMFORT BOX (PIO)REAR SPOILER (PIO)Rear Spoiler AMG® LINE EXTERIOR4-Wheel Disc Brakes Front Disc/Rear Drum Brakes LOWERED SUSPENSION W/SELECTIVE DAMPING SYSTEMWHEELS: 19 AMG® TWIN 5-SPOKE W/BLACK ACCENTSChrome Wheels Tires - Front Performance Aluminum Wheels Steel Wheels Tires - Rear Performance CONVENIENCE PACKAGEKeyless Start HD Radio Hands-Free Liftgate Satellite Radio Power Door Locks Keyless Entry Remote Trunk Release *Note - For third party subscriptions or services, please contact the dealer for more information. * There's a level of quality and refinement in this Mercedes-Benz E-Class that you won't find in your average vehicle. Beautiful color combination with Selenite Grey exterior over BLACK MB TEX interior making this the one to own!The Mercedes-Benz E-Class E 300 will provide you with everything you have always wanted in a car -- Quality, Reliability, and Character. This 2019 Mercedes-Benz E-Class E 300 is offered to you for sale by Mercedes-Benz of Ontario. This Mercedes-Benz includes: BLIND SPOT ASSISTBlind Spot Monitor NATURAL GRAIN BLACK ASH WOOD TRIMWoodgrain Interior Trim AMG® LINE EXTERIOR4-Wheel Disc Brakes Front Disc/Rear Drum Brakes LOWERED SUSPENSION W/SELECTIVE DAMPING SYSTEMPARKING ASSISTANCE PACKAGEAutomatic Parking Back-Up Camera WHEELS: 19 AMG® TWIN 5-SPOKEChrome Wheels Tires - Front Performance Aluminum Wheels Steel Wheels Tires - Rear Performance *Note - For third party subscriptions or services, please contact the dealer for more information. * There's a level of quality and refinement in this Mercedes-Benz E-Class that you won't find in your average vehicle. Based on the superb condition of this vehicle, along with the options and color, this Mercedes-Benz E-Class E 300 is sure to sell fast.There is no reason why you shouldn't buy this Mercedes-Benz E-Class E 300. It is incomparable for the price and quality. This outstanding example of a 2019 Mercedes-Benz E-Class E 300 is offered by Mercedes-Benz of Ontario. This Mercedes-Benz includes: HEATED FRONT SEATSSplit Bench Seat Heated Front Seat(s) Fixed Bench Seat Bucket Seats NIGHT PACKAGEBROWN ASH WOOD TRIMWoodgrain Interior Trim WHEEL LOCKS (PIO)Wheel Locks COMFORT BOX (PIO)REAR SPOILER (PIO)Rear Spoiler AMG® LINE EXTERIOR4-Wheel Disc Brakes Front Disc/Rear Drum Brakes LOWERED SUSPENSION W/SELECTIVE DAMPING SYSTEMPREMIUM 1 PACKAGEKeyless Start HD Radio Hands-Free Liftgate Satellite Radio Power Door Locks Keyless Entry Remote Trunk Release WHEELS: 19 AMG® TWIN 5-SPOKE W/BLACK ACCENTSChrome Wheels Tires - Front Performance Aluminum Wheels Steel Wheels Tires - Rear Performance BURMESTER SURROUND SOUND SYSTEMPremium Sound System *Note - For third party subscriptions or services, please contact the dealer for more information. * You appreciate the finer things in life, the vehicle you drive should not be the exception. Style, performance, sophistication is in a class of its own with this stunning Mercedes-Benz E-Class. The 2019 Mercedes-Benz exterior is finished in a breathtaking Polar White, while being complemented by such a gorgeous SADDLE BROWN MB-TEX interior. This color combination is stunning and absolutely beautiful!You can finally stop searching... You've found the one you've been looking for. This outstanding example of a 2019 Mercedes-Benz E-Class E 300 is offered by Mercedes-Benz of Ontario. This Mercedes-Benz includes: HEATED FRONT SEATSSplit Bench Seat Heated Front Seat(s) Fixed Bench Seat Bucket Seats BLIND SPOT ASSISTBlind Spot Monitor NATURAL GRAIN BLACK ASH WOOD TRIMWoodgrain Interior Trim COMFORT BOX (PIO)REAR SPOILER (PIO)Rear Spoiler AMG® LINE EXTERIOR4-Wheel Disc Brakes Front Disc/Rear Drum Brakes LOWERED SUSPENSION W/SELECTIVE DAMPING SYSTEMPREMIUM 1 PACKAGEKeyless Start HD Radio Hands-Free Liftgate Satellite Radio Power Door Locks Keyless Entry Remote Trunk Release WHEELS: 19 AMG® TWIN 5-SPOKE W/BLACK ACCENTSChrome Wheels Tires - Front Performance Aluminum Wheels Steel Wheels Tires - Rear Performance BURMESTER SURROUND SOUND SYSTEMPremium Sound System *Note - For third party subscriptions or services, please contact the dealer for more information. * You deserve a vehicle designed for higher expectations. This Mercedes-Benz E-Class delivers with a luxurious, well-appointed interior and world-class engineering. This is about the time when you're saying it is too good to be true, and let us be the one's to tell you, it is absolutely true.Beautiful color combination with Polar White exterior over BLACK MB TEX interior making this the one to own! You could keep looking, but why? You've found the perfect vehicle right here. Just what you've been looking for. With quality in mind, this vehicle is the perfect addition to take home. This is the one. Just what you've been looking for. You can finally stop searching... You've found the one you've been looking for. 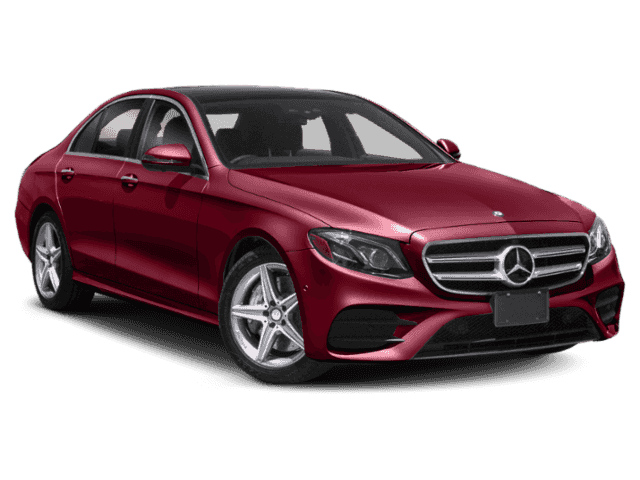 This 2019 Mercedes-Benz E-Class E 300 is offered to you for sale by Mercedes-Benz of Ontario. This Mercedes-Benz includes: ARRAY(0x15c1d520) BLIND SPOT ASSIST Blind Spot Monitor WHEEL LOCKS Wheel Locks COMFORT BOX REAR SPOILER Rear Spoiler ARRAY(0x15c62880) 4-Wheel Disc Brakes Front Disc/Rear Drum Brakes WHEELS: 18 AMG® 5-SPOKE W/BLACK ACCENTS Chrome Wheels Aluminum Wheels Steel Wheels 115V AC POWER OUTLET ARRAY(0x15c21088) Keyless Start HD Radio Hands-Free Liftgate Satellite Radio Power Door Locks Keyless Entry Remote Trunk Release *Note - For third party subscriptions or services, please contact the dealer for more information. * You appreciate the finer things in life, the vehicle you drive should not be the exception. Style, performance, sophistication is in a class of its own with this stunning Mercedes-Benz E-Class. Just what you've been looking for. With quality in mind, this vehicle is the perfect addition to take home. Based on the superb condition of this vehicle, along with the options and color, this Mercedes-Benz E-Class E 300 is sure to sell fast. Want to step inside a new Mercedes-Benz E-Class Sedan? Schedule a test drive at Mercedes-Benz of Ontario! 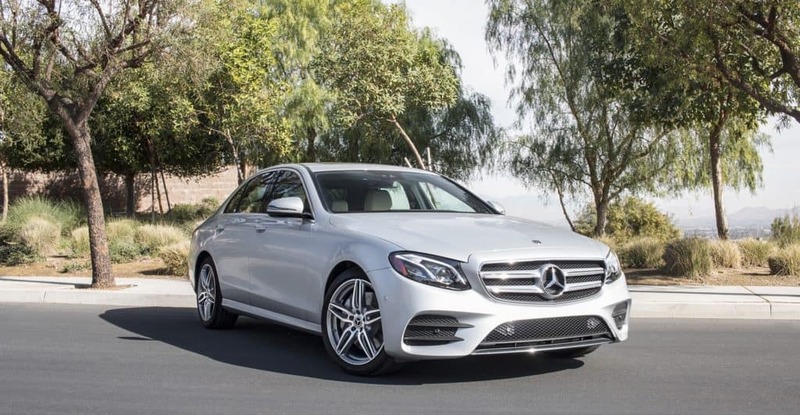 Compared to the Mercedes-Benz C-Class, the E-Class may be more expensive and not quite as fuel-efficient, but it’s also larger and offers more features. The E-Class is an ideal model for Fontana and Chino drivers wanting a genuine luxury experience—all bells and whistles included. Take a moment to browse our latest lease offers and finance specials for great savings opportunities on a new Mercedes-Benz!